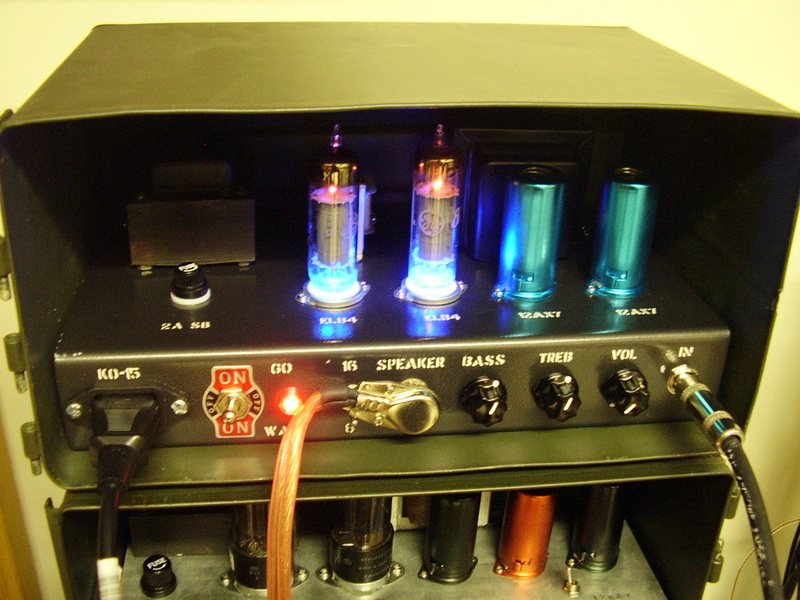 A vox ac-15 based amp in an ammo can with cool blue led lit power tubes. Roughly wired to AC15C1 specs with no cathode follower, and no cut control. Controls are volume, treb, bass, 8 or 16 ohm speaker, and a power/standby switch. Tubes are a pair of EL84 and a pair of 12ax7. Nice and chimey when clean, gets pretty crunchy turned up. $1000CAD shipped and paypalled anywhere in the US or Canada. Email to order directly.